Jack is an Associate Consultant at Social Ventures Australia (SVA). Jack works on a range of projects across strategic planning for social impact, community and development modelling, and program evaluations. While at SVA, he has worked with large resource corporates, not-for-profits and on Indigenous community development initiatives. Prior to joining SVA, Jack completed a Master of Public Policy degree, with a focus on quantitative research and policy analysis methods. Jack was formerly a mechanical engineer consulting on resource and infrastructure projects. He has volunteered in a variety of not-for-profit organisations, most recently in advisory capacities. 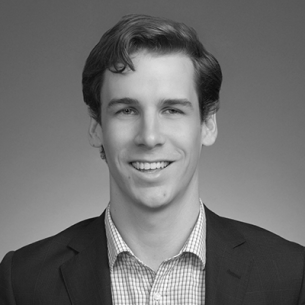 Jack has a Master of Public Policy (Hons I) from the University of Chicago, a Master of Engineering from the Queensland University of Technology, and a Bachelor of Engineering (Hons I) from the University of Queensland.